Netstal, a brand of the KraussMaffei Group, presented for the first time in South America its ELION 3200 injection molding machine at Feiplastic 2013. The machine, which was launched in autumn 2012, was used to produce bottle caps in a cycle time of just 4.2s. 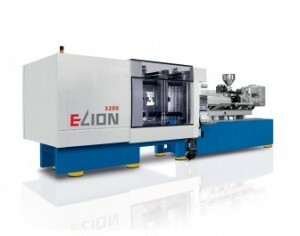 During Feiplastic, Netstal produced the PCO 1881 bottle cap on the ELION 3200. Equipped with the latest electric clamping unit with energy recovery and the new aXos control unit, which boasts an improved control panel and many new applications, the bottle caps were produced in a cycle of 4.2s with a 72-cavity mold made by Austrian company z-mold. The caps were cooled by a lift cooler that came courtesy of Eisbär, likewise based in Austria. Feiplastic 2013 was held in São Paulo, Brazil from May 20-24.